As I've stated in previous posts, I a big fan of Sleek blushes. So once I saw that this set included a blush, I had to have it; regardless of what other products the blush was paired with. From left to right: True Colour Lipstick in Cranberry, Kohl Liner in Mossberry, Blush in Fernberry. I'll just jump right into my favorite piece in the set...the blush :) Fernberry is a beautiful warm reddish/ brown diluted berry blush. 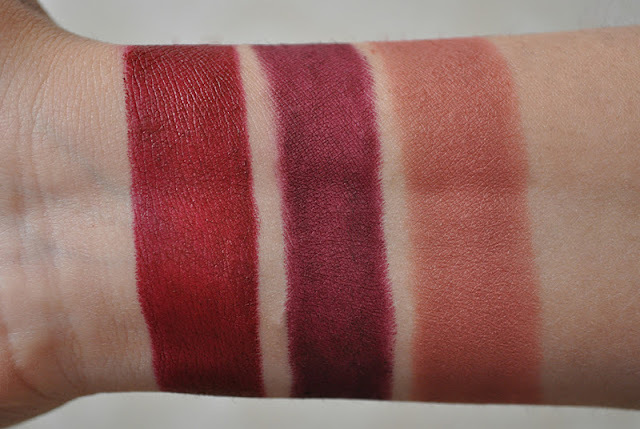 Moderately pigmented, Fernberry blends to lovely wintry festive spicy berry matte flush. Love it! 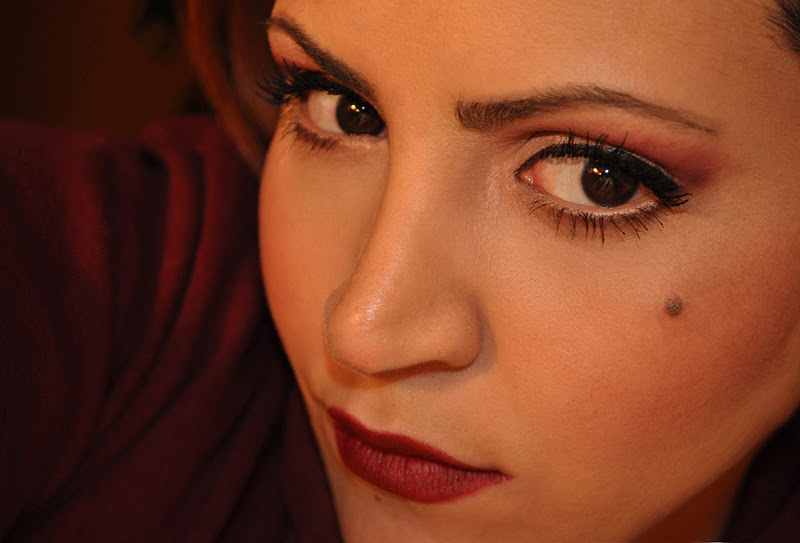 Next, is the True Colour Lipstick in Cranberry. I'm a bit torn on how I feel about this lipstick, I like it but I don't love it and I wouldn't recommend it. Cranberry is a wine berry with a redden pink undertone. Although this lipstick has a matte formula, it has a decent creamy texture. My main issues with cranberry is how it applies unevenly, making me work a little harder to get the desired opacity. My least favorite item in the set was the kohl pencil. 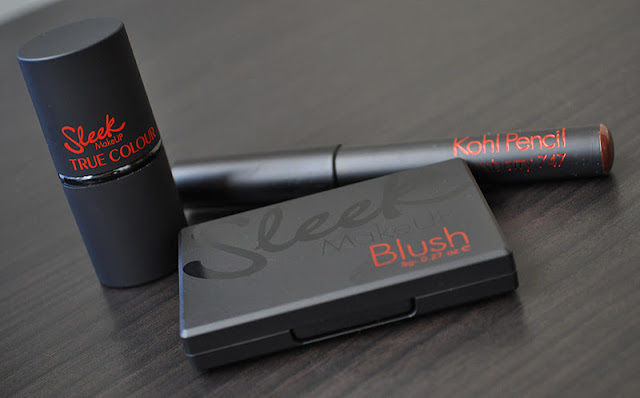 The consistency of this kohl is extremely dry, causing it to drag and pull on the skin. During application, the product went on patchy and even ball up and flaked in certain areas...not a fan! Smashbox Color Correcting Primer in blend. Mac Eye Shadow in Rite of Spring (All over the lid, brow bone and inner corner) . Sleek Kohl Pencil in Mossberry (in the crease). Mac Eye Shadow in Ground Brown ( line the lower lashline). Mac Powerpoint Eye Pencil in Tendered ( lower waterline). Black liquid liner (Japanese brand and I forgot the name). Benefit Badgal Lash Mascara ( upper lashes). Mac Zoom Fast Black Lash Mascara (upper and lower lashes). Sleek True Lip Colour in Cranberry. Hi Anonymous! Thank you for stopping by, I hope you enjoyed this post anyway :) and you're right, the kohl does work better as a lipliner. You just have to make sure to exfoliate your lips before applying. What a Haul, What a Haul! !